Good. Soft cover with average shelf/handling/edge wear. Clean inside pages. Good binding. Good. [ No Hassle 30 Day Returns ] [ Edition: Reprint ] Publisher: Scribner Pub Date: 6/1/2003 Binding: Paperback Pages: 336. Fair. 0684801469 Ships promptly from Texas. It is a good experience to get into a book worth reading. This is one of them. Also, the subject of war and the people involved and occasionally uninvolved in it is timeless. 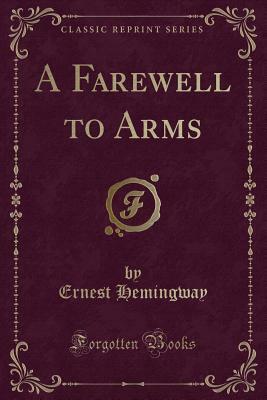 Hemingway's talent surfaces when reading the cut to the bones prose that nakedly tells the truth of a terrible time. The War to End All Wars is right around the corner and the writing pattern strikes a pattern that makes you become a part of the action, and you start to feel like a character in the story. This book is one of the Greates to read. By one of the worlds Best Authors. A Must have. I am about 3/4ths of the way through this book and find myself a little disappointed as it does not meet my standards of Hemingway, someone who I admire as an author. The book seems to ramble around at times and appears to exhibit a different style of writing than others I have read by this author.